The best wireless dog fence system helps dog owners meet their responsibility of keeping their dog safe and secure without having to go to the effort of digging holes and setting fencing poles, as well as the constant burden of maintaining the fence. Arguably this system is the best fence for dogs. There are a few invisible dog fencing options such as an underground dog fence or a wireless electronic fence. Often dog owners wonder if the invisible dog fence cost is worth it, however in most cases the best invisible fence works out cheaper than putting in a traditional fence. 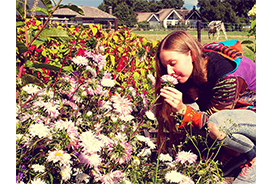 The other advantages are that they are wildlife friendly and don’t change the ascetics of your yard. 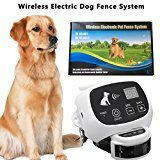 In this guide I will go through everything you need to know about purchasing the best invisible dog fence as well as take a closer look at some of the best in ground dog fence and wireless options currently available on the market as well take a look at various wireless dog fence reviews and underground dog fence reviews. 1 How Do Invisible Fences Work? Invisible fence systems (sometimes referred to as an electric dog collar fence) come with a transmitter and dog collar. The transmitter is set up in your home or garage and your dog wears the collar. Once your dog starts to reach the boundary set up, a warning sound will be emitted. If your dog continues to approach the boundary the collar will give your dog a static correction. The static correction is a mild and harmless electric stimulation, which is designed to teach your dog not to pass the perimeter you have set up. The way in which the boundary is set up can vary depending on which system you decide to purchase. Generally a wire is set around the edge of your property, often underground. The other method is by use of GPS or radio signal with the dog collar and the transmitter communicating with each other to determine your dog’s location. There are many things to consider when looking to buy an electric dog fence to ensure you get one that suits both you and your dog’s needs. The cost of the fence, whether it is in-ground or wireless, and also how easy it is to install are all things you need to consider. How much does an electric fence cost, I hear you ask? As briefly mentioned above you will be surprised to discover that the invisible fence cost is much less than installing a traditional fence. The more expensive brands clearly have more features and are often better quality, however there are still a few cheaper options that will get the job done but with less features. In most instances you get what you pay for and I recommend investing in a system from a reputable brand that is designed to last. As briefly discussed above, dog containment systems can come in the form of an underground electric dog fence or a completely wireless fence. 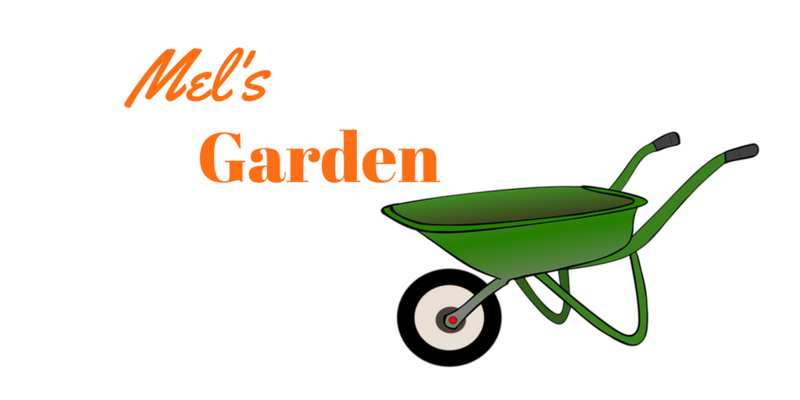 An underground system requires you to either place a wire around your property underground, or in some cases you can just leave it to sit on the grass or garden bed. When your dog gets to close the wire your dog receives a signal from the wireless dog collar. 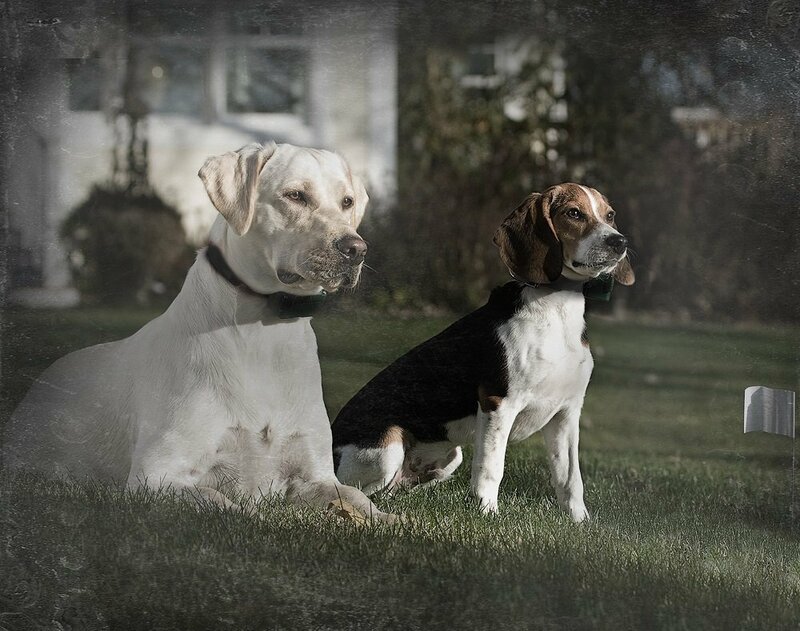 The wireless system uses GPS or radio signals to determine the location or your dog, and the collar and transmitter communicate with each other to determine the location of your dog. The invisible fence collar emits a signal when your dog comes close to the boundary. There is no interference from other signals. You can amend the perimeter as necessary. Needs to be set up away from metal fixtures or furnaces. 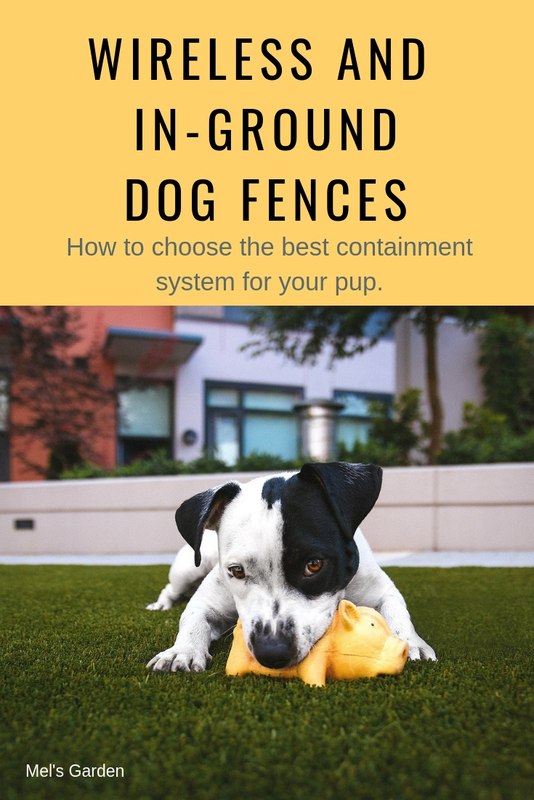 When purchasing one of the dog containment systems it is important to consider how easy the system is to install and your own DIY dog fence skills. As mentioned above, the Invisible fence installation for a wireless system is much easier than a dog fence wire option. The installation of the wireless system is much quicker and easier than the electric fence installation and for that reason I recommend you consider the wireless system over an underground system. You will love how easy it is to set up the PetSafe Wireless Pet Containment system, within 1 to 2 hours your pet will be fully secure with plenty of space for free play. This wireless dog fence will keep your pet safe and secure in an area of up to 90 feet in all directions from the transmitter. The collar fits dogs over 8 pounds with a neck size of 6 – 28 inches. Have multiple pets? You can add as many collars to the invisible dog system as necessary. Reviewers are just loving how easy it is to train their pets with this system, plus many rate it as the best electric dog fence given there is no digging required. Check out the various features below to see why this is our pick for the best invisible dog fence. If an invisible pet fence is not for you, than perhaps a portable dog fence is a better choice. This portable dog fence can easily be set up outside but also works as an indoor dog fence. This portable pet fence provides 16 square feet of enclosed area for your pet to happily roam around in. Although it has 8 ground anchors and a durable black e-coat finish to help protect against rust and other outdoor elements, this foldable exercise pen also works fantastically as an indoor pet fence. Cats are known for sneaking off and roaming around in places they are not supposed to be which is why an invisible fence for cats is a great option. 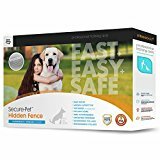 This particular pet safe wireless fence is waterproof and has been proven safe and effective for all cats over 6 lb. and at least 6 months old. The collar will fit cats with a neck size of 6-11.5 inches and has 4 levels of correction. Can not be used on cats under 6 months old or under 5 lb. Want to check out even more top invisible fence options? Keep reading below for more wireless and electronic fence options. As above we will look at the pros and cons of each. 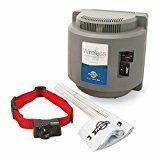 The Petsafe Wireless Fence is a fantastic small dog fence that encourages and trains dogs to stay within the boundaries with adjustable levels of correction through the collar. There are no wires to bury and the system is completely portable with a set up time of only 1 – 2 hours. The rechargeable collar charges in 2 – 3 hours to save having to replace the batteries. The included collar charges quickly within 2 – 3 hours and is suitable for dogs over 5 pounds and with a neck size of 6 – 23 inches. Also the collar comes with 5 adjustable levels of correction. Extreme dog fence has three systems depending on what grade you are looking for. This review features the eXtreme Dog Fence® MAX Grade, but we like all three systems. The main difference between the three is the quality of wire with the MAX Grade having the most durable wire for a dog fence, which is designed to last a lifetime. It has a thick polyethylene coating that will withstand the elements, such as sunlight and rain. The fence is manufactured in the USA and their systems have a “tone only” mode that is used for training. The collar is lightweight and comfortable for the dog. The collar’s contact points are fitted with rubber contact point covers, which reduces the possibility of the contact points creating sores on the dog’s neck. 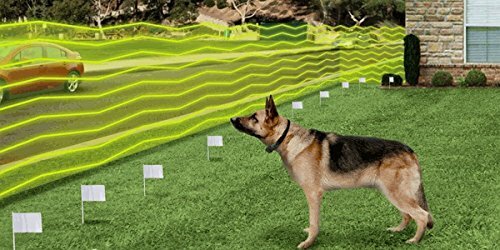 This wireless pet fence can be customized to your boundary up to an area of 500 feet in radius to keep your dog safe and secure. This is a highly rated system receiving positive reviews. Like most hidden fences collars, the collar is waterproof and is suitable for dogs 8 – 110 pounds and with a neck size of 6-26 inches. 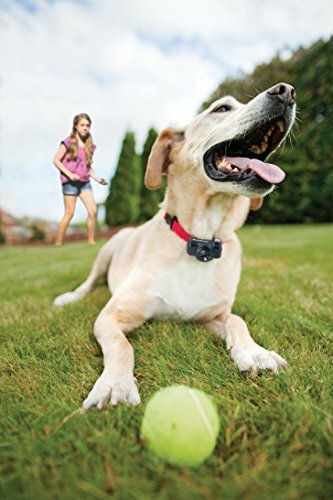 The YOUTHINK wireless invisible dog fence will keep your dog safe and secure in an area of up to 500 feet in all directions from the transmitter. The range is fully adjustable and can be reduced as necessary. The included collar is suitable for dogs between 10-90 pounds and with a neck size of 7-22 inches. The collar has various correction levels between 0-100. The Garmin Delta outdoor pet fence has ability to train your dog and change settings and monitor activity from your smartphone. 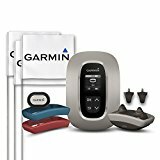 This wireless system provides a containment area of up to 2 acres and is filled with great features like the built in BarkLimter to deter annoying barking, activity tracker and trainer and the indoor keep away tags to deter your dog from areas such as the garbage bin. This easy to install in-ground dog fence comes with all the features needed to train your dog to stay within the boundaries. The collar is waterproof and rechargeable and offers 3 different levels of correction when training your dog. You can also use this invisible pet fence system to train up to 3 dogs at once and it can be installed below ground or above ground. The dog shock collar fence is suitable for dogs weighing between 11-154 pounds and with a neck size of 8-27 inches. This in-ground backyard dog fence is perfect as both an off leash training system as well as providing a secure contained space for your dog in the yard. It also comes with a 7-day training course to help you and your dog get on the right track of boundary training. The included collar fits dogs weighing between 11-154 pounds and with a neck size of 8-27 inches. This is a fantastic wireless invisible fence for large dogs. With 100 feet of wire which will fit up to one acre, you can set the dog yard fence up exactly as you please. You choose the boundaries and let the waterproof perimeter dog collar do all the rest! 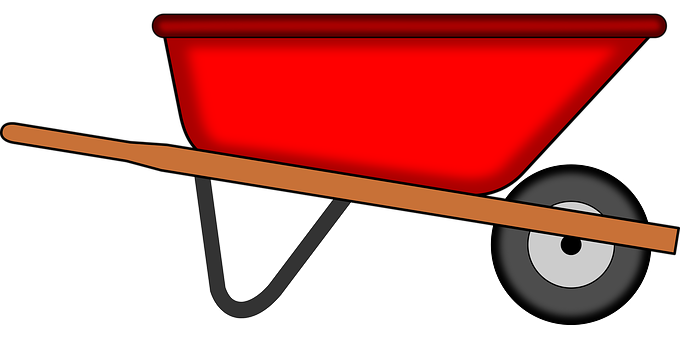 The wire can also be buried below ground or run above ground, whatever is more convenient for you. When you purchase one of the systems above, it will come with electric dog fence installation instructions specific to the brand and model. You will need to install the transmitter near a grounded electrical outlet and out of the weather. Lay the wire out above ground along the perimeter of your dog yard and test the system before burying it. You don’t want to find out that what you thought was the best dog fence wire isn’t functioning after you bury it. Next bury the wire along the perimeter of your dog yard about 1-3 inches deep. You’ll want it to be far enough below ground that you can run a lawnmower over it, but not so far that it doesn’t transmit. If you need to cross a driveway or path, use a masonry-blade-equipped circular saw to cut a trench in the pavement. Then fill the trench in with concrete sealant. This is just a quick overview, your underground pet fence will come with detailed instructions on installation. We hope you can figure out the best dog fence options for you and your pet after reading through this list of best electric fence choices. There are so many decisions to consider – how much is an invisible fence? Is there even such a thing as a dog proof fence? Should you go for the best wireless pet containment system or is another type of dog perimeter fence better? Dogs love to play and wander. It’s natural for them to want to explore their world beyond property boundaries that they don’t understand. It’s our job to keep them in the yard and not let them bother our neighbors or risk getting hit by a car. Ultimately, you want to keep your dog safe, keep your yard looking nice, and not have to worry about any of it once it’s installed. The best wireless invisible dog fence or in ground fence will do that for you. Let us know which dog fence ideas you went with!